Do you want to indulge in creative pursuits? Using the best Laser Engraving Machines can help you achieve amazing results. Each engraving machine on the list offers you unique features best suited for your requirements as an engraver. We have selected top brand with powerful specifications. The best news is you can start your own home engraving business with one of these in your house. You can ask a reasonable fee to personalize items for clients. The fantastic thing is the goods never go out of fashion. Further, you can add a nice touch to a gift. You can engrave a pen, jewelry, and more to make it personal to the owner. You can commemorate a special event and make someone happy at the same time. Having one at home is cost-effective and adds sentimental value to any gifted person. 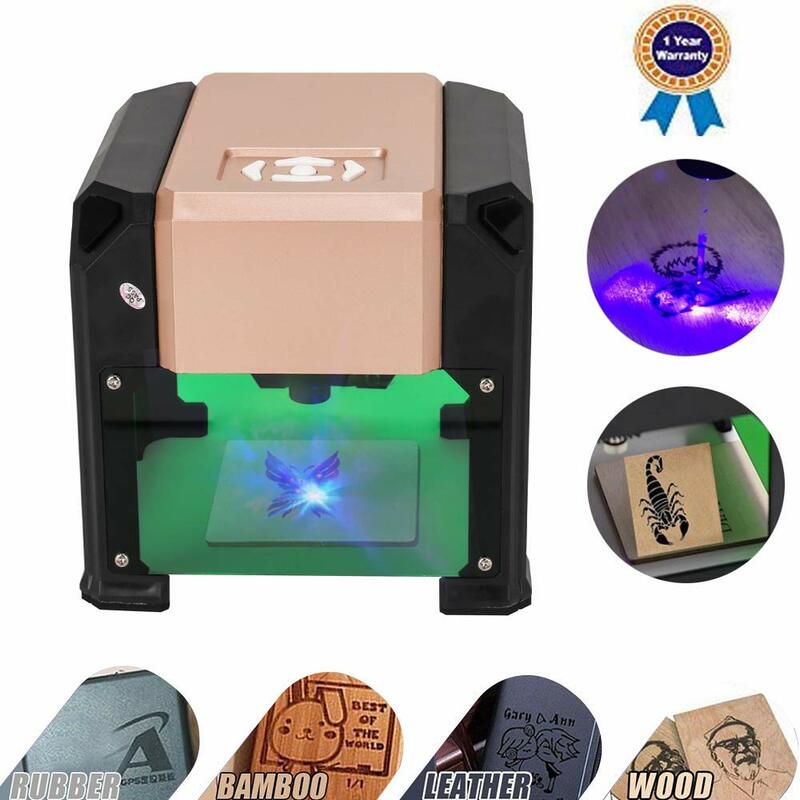 So check the laser engraving machine reviews that follow here—and finds a suitable one that fits in with your home or business. For the home user interested in a laser-engraving machine, the MYSWEET model comes highly recommended. 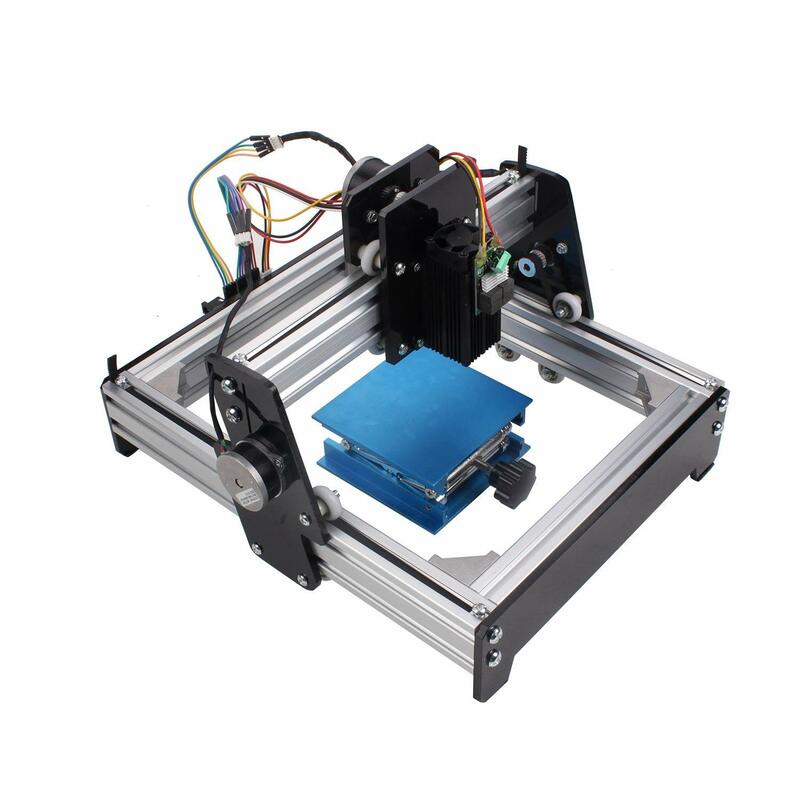 The DIY desktop blue laser engraver is for the beginner to use. The device offers grayscale printing with low-light positioning and the freedom of positioning. The construction is Acrylonitrile Butadiene Styrene (ABS) plastic with a cooling fan and laser focus knob. You can adjust the focus point with the rotating knob. Included you receive protective lenses and have no need of wearing glasses to protect the eyes. The machine supports Window Systems and Mac. Further, it works with different formats to engrave a variety of small items. 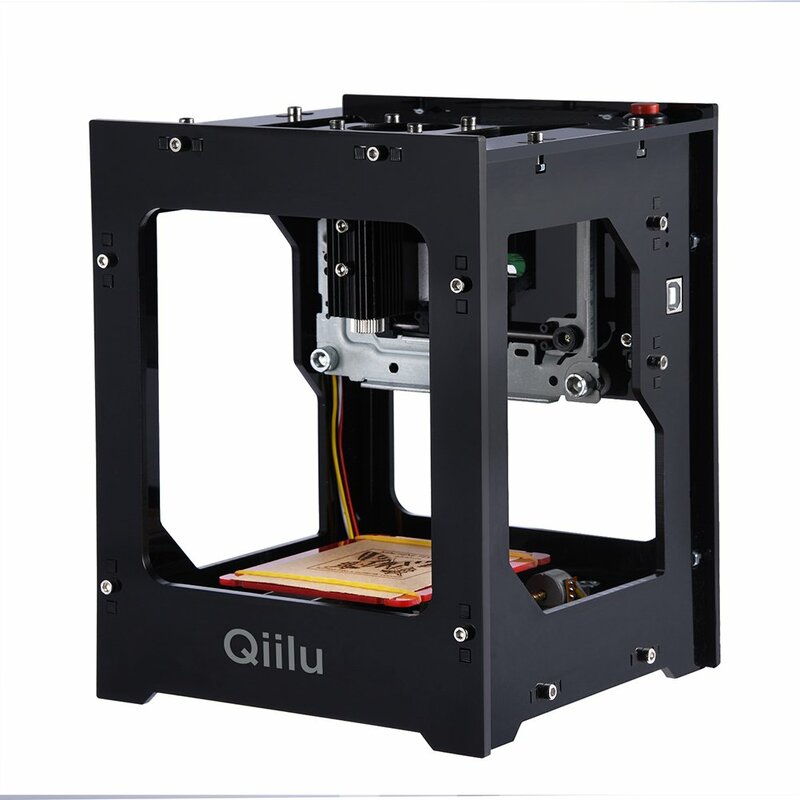 The laser-engraving machine from QIILU you can buy at an affordable price new and used. One of the apparatus best features is you can control it using your mobile phone or PC. The laser head adjusts easily, and it has a powerful cooling fan to use the unit for a long time. Further, the software is set up with multiple languages to use. Using the engraver does have a learning curve, but you need persistence to get familiar with the functions. The manual is simple to use, and you can adjust or swap the laser head. Another fantastic thing is you can use with various materials from plastic, bamboo, to wood. The only fabric mentioned you cannot use it on is glass, stone, and metals. You can use it with your iOS, but there have been reports that it is fiddly and not as user-friendly as the Android OS. Further, it works with Windows and Mac as well. For the hobby level engraver enthusiast, we have the desktop SUNWIN model. The price tag is reasonable and is an excellent machine for non-commercial use. The installation process is simple and only available in English. The exteriors durable with the aluminum frame and come with a cooling fan. You can use it with any material, but many users complain you cannot use it for long periods at a time. Some customers found the do it yourself assembly a minus point and difficult. 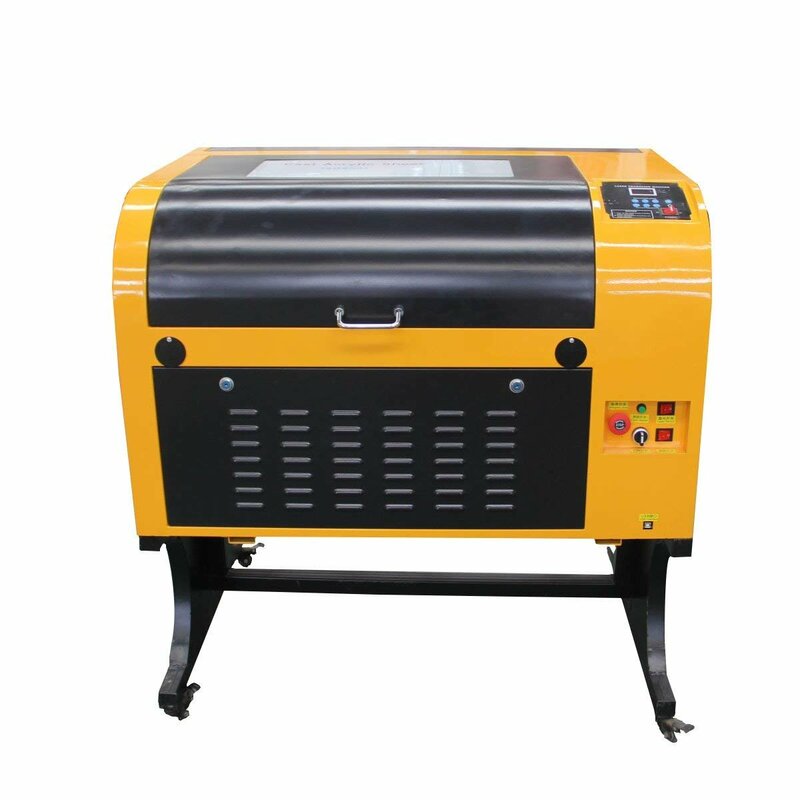 However, putting the negatives aside, the laser engraver is perfect for the newbie to do laser cutting and engraving. Instead of receiving a manual, you get a link from the company to download the video tutorial. However, we recommend you watch the whole tutorial before assembling anything. There is a small cooling fan to keep temperatures down. With the SUNCOO you can do laser cutting and engraving at the same time. The machines equipped with a 40W water-cooling laser tube, stepping motor, and a quality control board with a USB port. 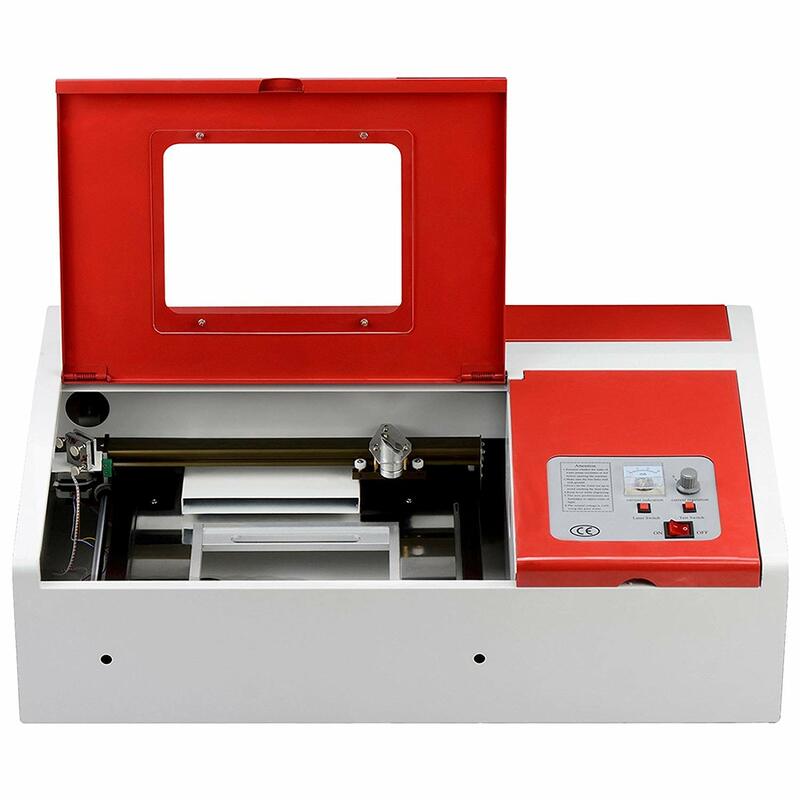 The engraving area is 12 x 8-inches and operates with a 350mm/s engraving speed. The cutting speed is 35mm/s to give you amazing results when used. The apparatus carries a CE Certification, and the laser tube offers up to 1300-hours of use. 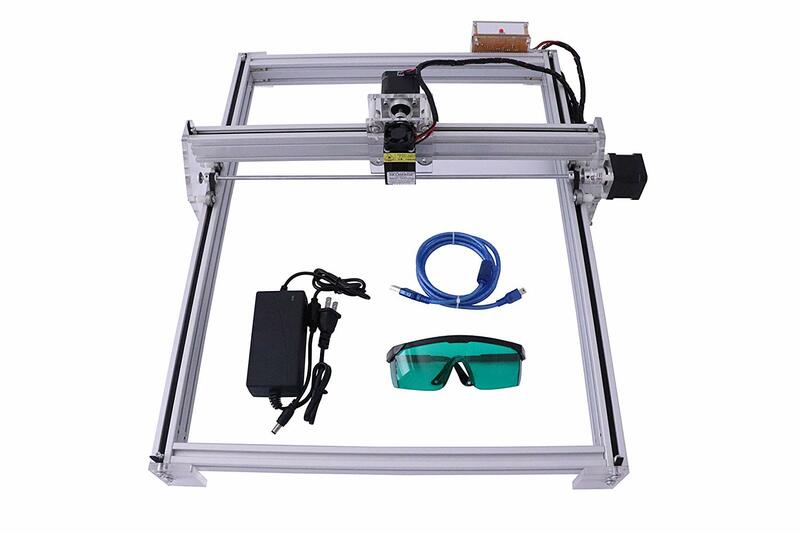 Included you get the CO2 Laser Engraver, smoke pipe, water pump, smoke fan, power cable, USB Cable/Key, instruction video, and accessory bag. The maximum size presented for engraving is 10.25-inch wide by 8.75-inches tall. The equipment is small enough to stand on a desk without taking up too much space. For something more versatile when it comes to laser engraving machines, look at the EverVictory Mini model. What makes the equipment unique is you can use it on soft and hard materials. The apparatus supports Windows OS and is simple to use. The laser powers adjustable and comes with a USB port. The laser power is only 10W and not as high as the previous models mentioned on the laser engraving machine review. You receive the unit almost assembled, as you need to bolt it together. The biggest problem is the Chinese instructions, and driver software is simple to install. You get a graphics editor as well, come loaded with a mini-CD, and flash drive. The other problem is you can engrave hard materials, but the image comes out grayer than black. Furthermore, you cannot find a lot of user feedback, and the lack of English instructions makes it a lesser buy. However, if you are interested, you best get hold of the English user manual or video before buying. 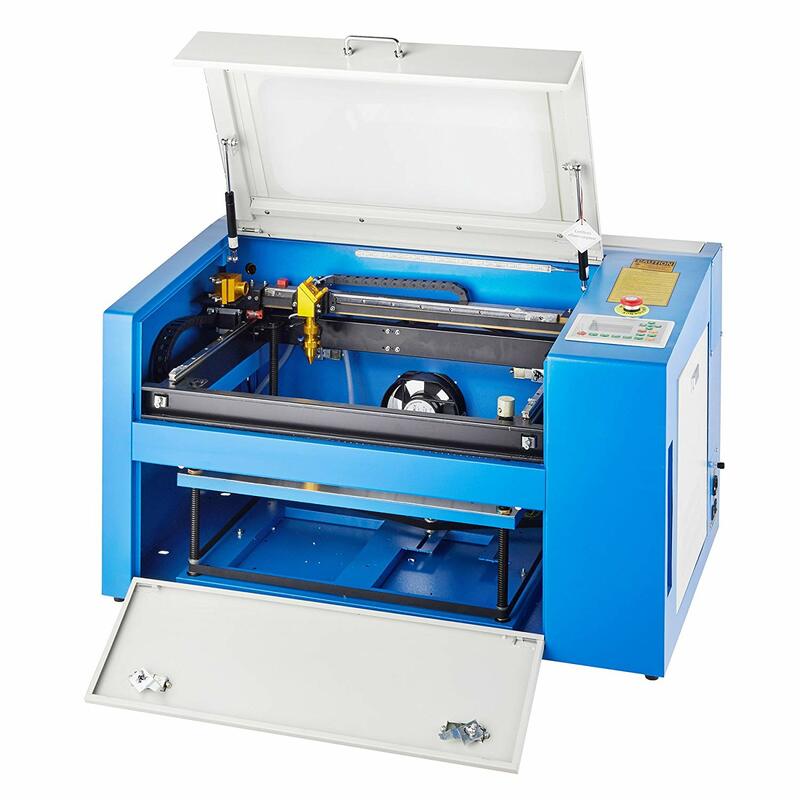 For a mid-range laser engraving machine, the 40-watt TEN-HIGH EN is perfect to use at home. The USA-based provider offers outstanding customer support. Further, you can use it with all non-metal materials and comes with CorelLaser. For setting up the machine, you get a video tutorial and USB port. You can use it to engrave on painted metal surfaces as well but does not engrave deep. There have been minor complaints that the CorelLaser program is slow so best to install CorelDraw instead. Further, you will have to contact the company for the user’s software, operating video, and manual. You can connect it to any Windows device with the included USB cable. Furthermore, just the fact that it does not have English setup is frustrating. While the Orion Motor Tech is our top pick we are sure, you will find it one of the best as well. With the box-like construction, it offers you user-friendly laser engraving suitable for home use. You can use it with non-metal fabrics and comes with water-break protection to keep you and the device safe. What makes the apparatus excellent are the predrilled holes to upgrade the machine. The customer service is excellent, but the setup is on the fiddly side. Another problem is it is a better etcher than a cutter. You can use it in a small business as well and can upgrade it from 50W to 60W by changing the laser tube. The device offers you the flexibility to use it with a wide selection of materials accept metal or too soft fabric. We do recommend you watch the setup video tutorials to assemble the laser-engraving machine and have some patience. However, if you do run into problems the tech team offers an excellent after-sale service. Now for something more made for commercial use, meet the Mophorn laser-engraving machine. The equipment supports multiple graphics formats with unlimited design length. You can use it offline with the control system or connect it with Windows-based systems. The biggest downside is the instructions in Chinese, and the software offers loads of challenges when used. To make up for the negatives, you get a generous engraving area of 20 x 28-inches and 80W laser tube that is Co2 sealed. The resolutions 1000 dpi and include a USB interface. Furthermore, it supports CAD and CorelDraw and is a reliable apparatus once you have gotten it set up. You can use it for arts & crafts in various sizes and suitable to use with softer materials. The included English manual is decent, and you can find helpful guides online with YouTube videos. For our penultimate pick, look at the upgraded TEN-HIGH model. The 200 lb beast looks similar to a BBQ but has more to offer than making food. The machine is ready to use and made with a lift platform. The laser energy you can adjust and comes with a front-end double door. Further, it supports all non-metal materials but does have a high price tag and is heavy with a learning curve. For the price, it does not have a temperature control system but is sturdy and offers a decent engraving speed. The after-sales service is top-notch if you ever are stuck. For commercial use, the price is affordable and should pay for itself in no time. You get USB connectivity and works mostly with non-metal surfaces and use it to engrave on painted metal surfaces but should get better results with the 60W version instead. You get CorelDraw included but have some issues with the Chinese-only software. Furthermore, You can find an English version but need to request it when making your purchase. Now if you want to start an engraving business, you may want to consider buying the Triumph Fiber model. The price is high, but with loads of business, it could pay for itself quickly. 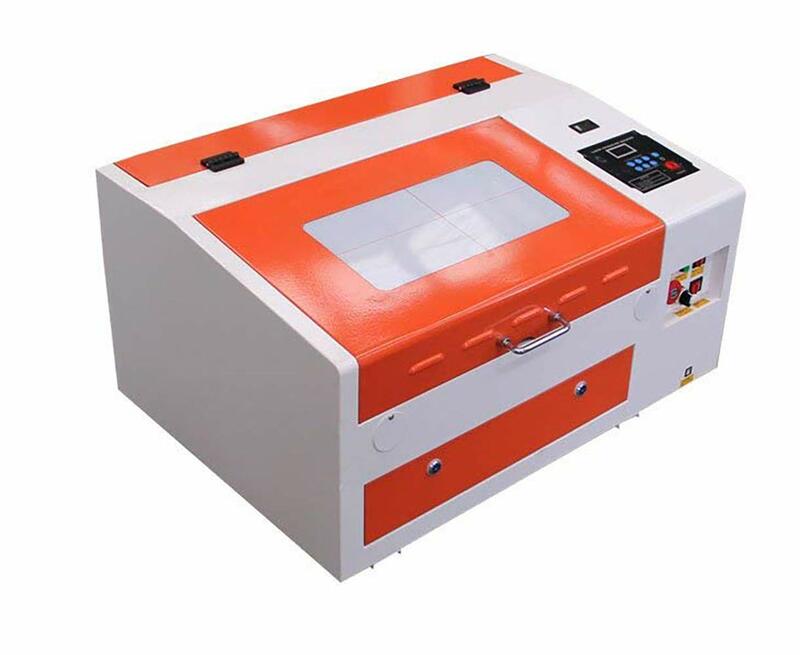 You can use it on hard and soft materials with the 30W fiber laser. The unit is CE and FDA approved and comes with free maintenance. The lifetime use of the laser is up to 100k-hours and comes with touch interface with a modular design. The machine is bulky and heavy and takes up much space. You get a one-year warranty as well. 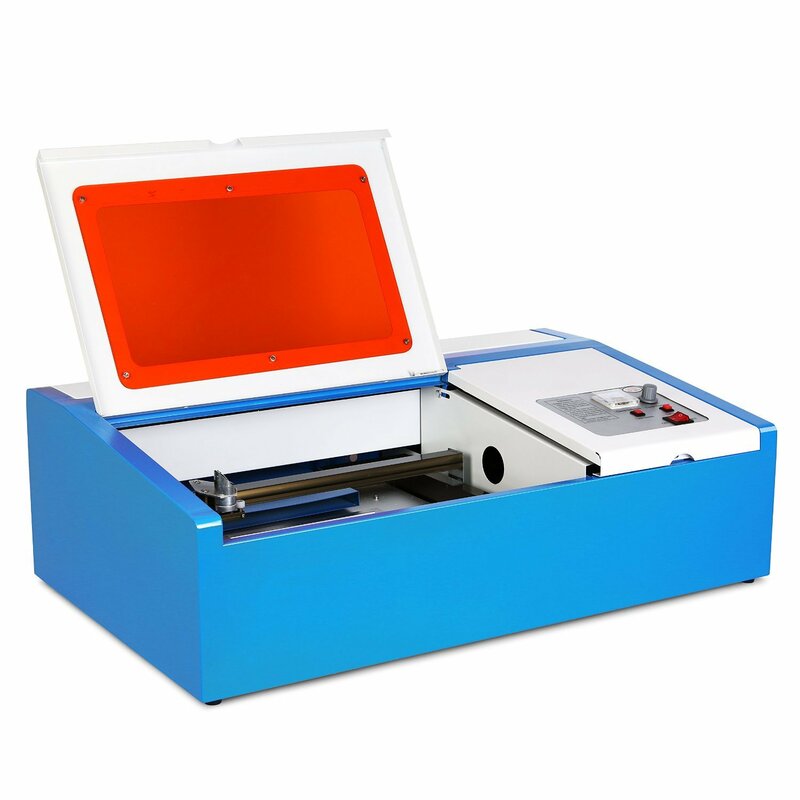 For permanent marking and engraving, this apparatus is ideal to use. You can use it with a printer and the control systems effective. Furthermore, it comes with a separate lifter and laser generator. Additionally, you can even use it to engrave jewelry made from different metals. However, there is one fabric you cannot use with it, and that is wood. 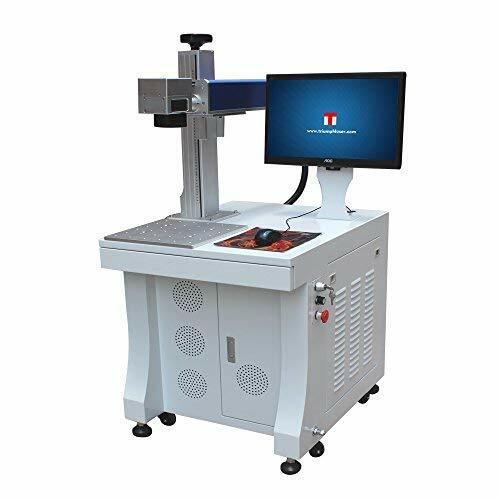 Which Laser Engraving Machine Do You Need? 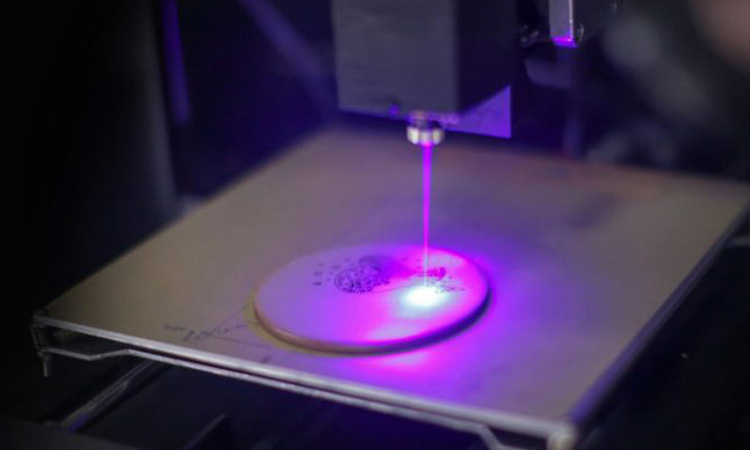 Whether you need a DIY Home to commercial laser engraving machine, we hope our list can help. The majority of engraving/cutting units offer you smooth operation and highly efficient when used. You can find one made with high speeds and free maintenance to use at home. Choose a desktop design to freestanding model to help start your engraving business from the comfort of your home. Each apparatus comes with safety such as cooling fans with adjustable lasers and more. No matter what your needs are, we know there is a model on the list that you like. Pick one today and let it start paying for itself.